"Kuuipo" had a very exciting show career. 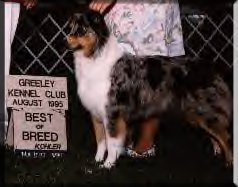 Her first AKC show at 6 months of age she went Best of Breed for her first major points over three specials. 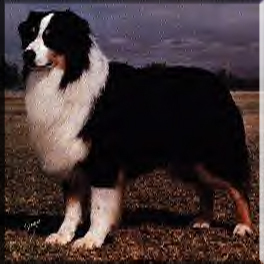 Brags: "Kuuipo's" sire CH. Bayshore's Three To Get Ready, C.D. 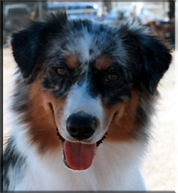 is an International, Canadian, Mexican, SKC, AKC and ASCA Champion. 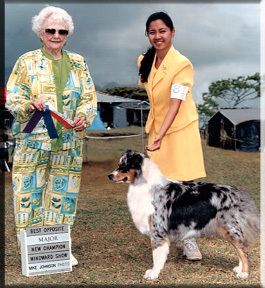 Kuuipo's dam Lakesprings Fancy Me of Carolina is an International and Canadian Champion. Canadian Champion and ASCA and AKC major pointed.